Upholstery Pin 3" 75mm (Skewer). Upholstery pins or skewers used for pinning fabric, linings, foam and fibre in place during upholstering furniture items. 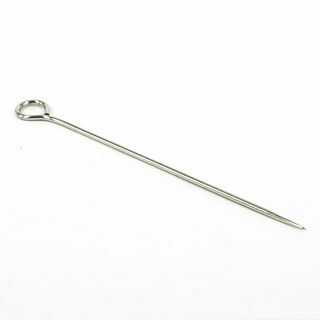 Two sizes of upholstery pins or skewers are available - 75mm & 100mm. Strong spring steel for long life. Minimum quantity 6 pins or bulk prices in lots of 12+ or 24+ pins. Nickel plated spring steel upholstery pins or skewers are an essential item in the upholstery workshop. Hold fabrics, linings, foam and fibre in place whilst finishing off your upholstery work. 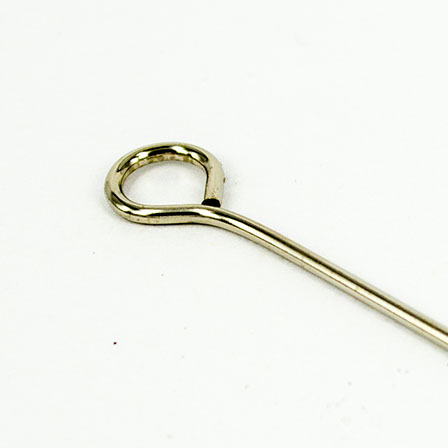 Made from strong 16g nickel plated spring steel these are the upholstery pins used by professionals. 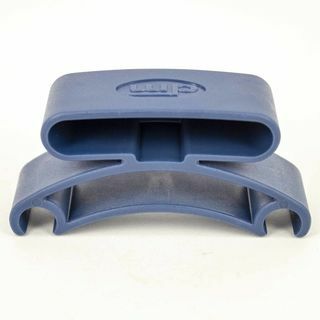 Two (2) lengths of upholstery are available - 3" (75mm) and 4" (100mm). 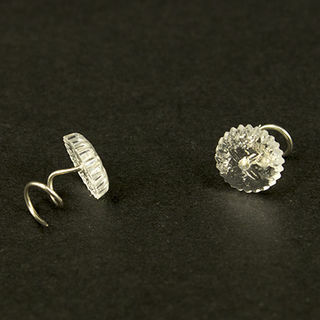 Both sizes sold with a minimum quantity of 6 pins. Wrapped in cardboard to protect the sharp points and ensure that no damage is done to other products or freight personnel during transit.